A personal loan can be a great tool to help finance your next big purchase, home renovation, business expansion, a new car or anything else that might require some extra money. Personal loans can vary in amount and type, but they are typically smaller than a mortgage. They can even assist you in saving money when you consolidate a number of other loans into one, thereby often decreasing your interest and simplifying your payments, keep this in mind before you apply for another credit card! Research your big investment thoroughly before even applying for a loan. Investigate different sources for your purchase, create a budget and stick to it! When you have confirmed what you think your final loan amount is going to be, use a personal loan calculator to find out what your estimated payments are going to be (they could be weekly, fortnightly or monthly) and whether they are reasonable and fit into your current budget. Your personal loan has many different variables, from amount and type (variable or fixed rate interest rates) to duration and fees. You need to find the right combination of all these factors to make sure you get the best personal loan available to you. The best way to do this is often to use a personal loan comparison to make sure you are getting the perfect deal. Before you sign the loan, make sure to read and understand all the fine print and if you don’t understand something, be sure to ask! Once the personal loan is approved, put the money to good use as quickly as possible, otherwise it will sit around costing you! Some personal loans allow you to pay the principal loan amount back quicker than you initially agreed to. If your circumstances allow it, you should definitely pay more than your minimum repayments as this will allow you to pay less in interest and could even help your credit score. When it comes to personal loans, research and planning ahead are your friends. From comparing different personal loans to calculating your repayments, forward thinking is essential in finding the right personal loan and paying it off quickly and successfully. Have you ever thought about taking out a personal loan to make investments? The idea seems very risky to me but I have a few friends who have done this to great profit. I guess that is why I remain poor! I thought about taking out a personal loan years ago when I was in a bunch of credit card debt. I ended up not going that route, but it is definitely an option if you can get a good interest rate. I know people who have taken out personal loans to pay off their credit card debt. They ended up getting a lower interest rate compared to their credit card, so for then, it was worth it in the long run. I completely agree with you that a personal loan a great tool to help finance for next big purchase, home renovation, business expansion, a new car or anything else that might require some extra money. I really like your post because it’s helpful to those people which are thinking for personal loan with save money. I agree with the tip about reading and understand all the fine print before you sign for a personal loan. When my sister was getting a loan for school she made sure to read everything before she signed for it. I will keep these tips in mind in the case that I need a personal loan sometime in the future. You made a good point to plan wisely before finally deciding to apply for a personal loan. You must be aware of how much you’re going to invest, spend, and buy. 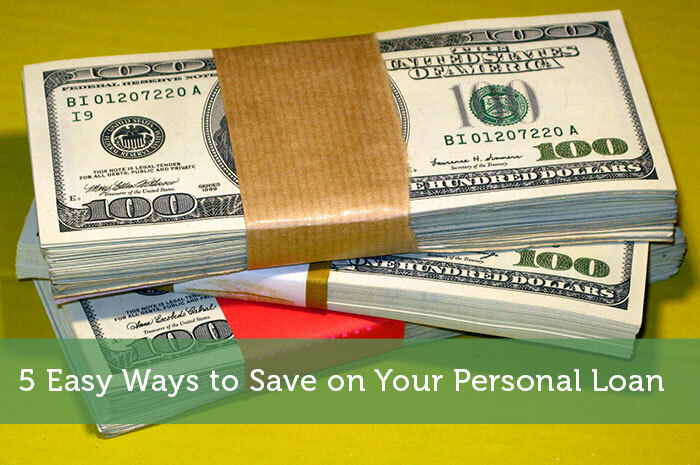 You should know how to control your finances to prevent any unnecessary expenses. If I were to apply for a loan, I would surely keep this in mind. Thanks. I do like that the article recommends being prepared for the personal loan ahead of time. After all, if you can get all of your paperwork in order beforehand then it makes the application process much smoother. In fact it might even help to have your credit card statements ready on top so that they can get a quick idea of your credit score.